Swiss food and nutrition giant Nestle is dedicated to localization in China to woo customers in its second-largest global market, amid looming threats of global trade war initiated by the US. "We are strongly in favor of open trade and open exchange," said Mark Schneider, chief executive officer of Nestle at the company's headquarters in Vevey, Switzerland on a late-November morning as he discussed the potential impacts of the China-US trade situation. The multinational has taken the strategy of localization to cater to local customers in every market it operates in, which has helped itself avoid impacts from international trade uncertainties. "We are a company that very deeply tries to take root in a country where we do business… That means very early on we established local manufacturing for the largest majority of what we sell. We are a company that very much tries to make locally what is consumed locally," Schneider told the Global Times. Though such a long-term strategy provides Nestle with some natural protection against the trade war, Schneider insists, "Trade benefits everyone." In China, one of Nestle's fastestgrowing global markets, the company has opened 33 factories, ranging from a dairy factory in Heilongjiang Province in Northeast China to coffee production in Southwest China's Yunnan Province, four research centers and one food safety institute, in order to source, produce and sell locally as much as possible. The company is closely cooperating with the Chinese government on the State plan to improve the health of the younger generation, providing products and expertise to the National Nutrition Plan (2017-30) initiated by the China Nutrition Society. The launch of the "Nestle for Healthier Kids" global initiative this May particularly chimes with the government's plan. A visit to a Nestle research and development center shows that the company is keen to demonstrate its dedication to providing healthier products with lower fat and sugar content. A major direction of its research facilities in Lausanne and Konolfingen is to create modified, healthier synthetic edibles through cutting-edge technology to replace conventional materials used in chocolate and milk products to reduce sugar and fat without noticeably sacrificing taste. The new products will be released in one national market to test the waters, and expanded to other markets if successful. One of these products, a chocolate bar first trialed in the UK, effectively reduces sugar content but still tastes sweet. The company is also pouring resources in to get a foothold in opportunities presented by the sweeping digital transformation of the Chinese market. "The Chinese market and Chinese consumers have become a cutting-edge example for the rest of the world… Alipay and Tencent use systems that are cellphone-based. Unless you have a Chinese bank account, you can't really properly set them up," Schneider lamented his experience on recent visits to China when he had to ask others to pay street vendors as nobody wanted his cash or credit card. "To me that's a taste of the future." In the Chinese market, the company is cooperating closely with e-commerce shopping platforms. During this year's Alibaba-led Double-11 shopping festival, Nestle recorded a double-digit sales growth. Nestle's China strategy is also in line with other foreign companies' recent moves in the country, which are eager to expand their presence in the growing Chinese market despite the current unstable bilateral trade relationship between China and the US. For example, US-based food and beverage giant PepsiCo said it will continue to expand its presence in China, since it is "betting on a sustained and long-term relationship with this critical market." PepsiCo announced plans in August to invest an additional $100 million to expand and transform its Shanghai Songjiang Foods plant, indicating a broader ambition in China. For Chief Technology Officer Stefan Palzer, Chinese traditional food ingredients are an untapped source of treasure in which Nestle can draw inspiration for food and research. "The concept of traditional ingredients is very attractive, it's very easy to understand by consumers, and also you'll find there are a lot of tools behind it. We just start to understand about the tools," Palzer said, using goat's milk as an example. He said goat's milk is quite healthy and popular in many parts of China because it's much easier to digest than cow's milk. Based on research into traditional herbal medicine ingredients, in August Nestle rolled out new products in the Chinese market, smaller bottles of nutrient drinks made of herbal extractions from plants like pomegranate, loquat and gouqi, or Chinese wolfberry. Palzer admits that challenges remain in a market as large as China. "One challenge is ensuring the quality of raw materials, because it's such a big country, with so many producers." As there is debate within some countries like the UK over whether to stop pasteurizing milk to retain the freshness of the product, China is not anywhere near, as bacteria-control is still one of the challenges facing decentralized farms. This is why Nestle has invested in gene sequencing to analyze the genome of its products to discern the quality of the raw materials. The Chinese market is particularly promising for Nestle's coffee business, which is also trying to cultivate coffee consumption in China. 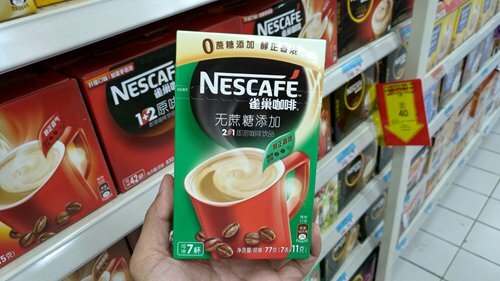 For Chinese society, 20 years ago Nestle instant coffee was the only coffee they knew, but the huge market is shifting to roasted and ground coffee. "Take England, until the 1970s, the UK was more or less a tea-drinking market. It's now a coffee market with explosive growth, not only in coffee to be enjoyed at home, but also with 20,000 coffee shops all over the country," Schneider said. With a still low per capita coffee consumption, China is viewed as a new, significant opportunity for Nestle coffee products. "Just look at the huge lines at the Starbucks [Reserve] Roastery in Shanghai, and it shows that people have deep interest in coffee products." Nestle has teamed up with Starbucks to sell Starbucks coffee outside its coffee shops, among other moves. "So far we are very pleased with the progress," he said.